Watch the first trailer for THE NUN! The first trailer for THE NUN has finally been released. And you can watch it right here. 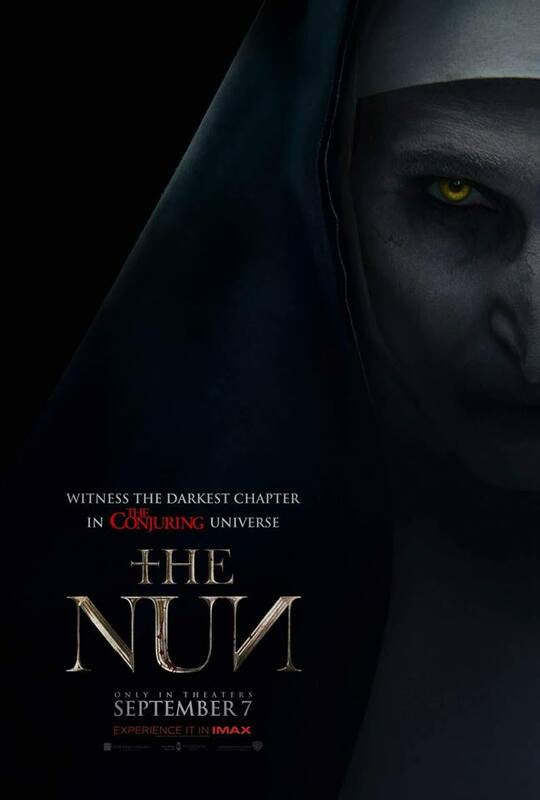 The first trailer for The Nun, based on the demonic nun character, Valak, from The Conjuring 2, has finally arrived. The Nun character was actually added to The Conjuring 2 just three months before the premiere. James Wan had an idea for this character, and additional scenes were shot. Basically, The Nun was just a brilliant afterthought. Now she gets her very own movie, The Nun, which will be out in theaters on September 7, 2018. The movie is directed by Corin Hardy (The Hallow), and it stars Oscar-nominated Demian Bichir (A Better Life) as Father Burke and Taissa Farmiga (TV’s American Horror Story) as Sister Irene. Also in the cast is Jonas Bloquet (Elle) as a local villager, who is originally from France. Finally, Charlotte Hope (TV’s Game of Thrones) plays the abbey’s Sister Victoria and Ingrid Bisu (Toni Erdmann) is Sister Oana. Watch the trailer for The Nun below!